As recent events have proven, severe storms are things you never want to deal with but you should always be prepared for. Whenever a storm takes place, you’ll have very little control of its course. But what you do have control over is how ready you are for it. Since storms can cause damage to structures and create costly losses, you need to do all you can to make sure your property is as protected as possible. Commercial liquid roofing is one measure you can take to reduce your risk of damage. Champion Services Roof Rescue explains why. The roof of your building is one of the most likely parts of the structure to suffer damage. It takes all the hits whenever a heavy storm comes through. With this in mind, your roof should be able to handle harsh weather conditions year-round. Liquid commercial roofing is one of the most effective ways to prepare your roof for a storm. Storms often bring abuse to the top of your commercial building. Damage from wind, hail, and flying debris can cause rainfall to seep through any imperfections in a roof, causing leaks. However, the solution used in liquid roofing will prevent the water from penetrating the roof’s surface. Liquid roofing is fully waterproof, so even if there are any pockets of standing water, your roof will remain strong. Liquid roof coatings are not easily punctured. This means the roof is less likely to suffer any crucial damage that will require commercial roofing repair. 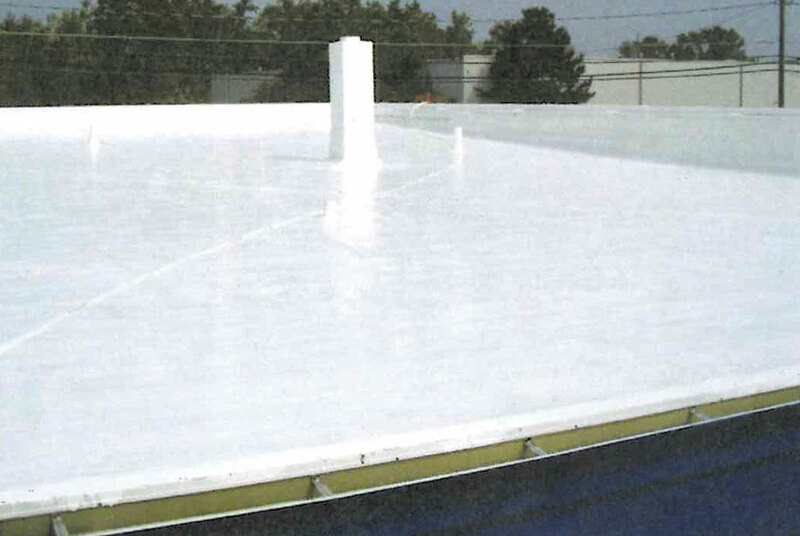 Liquid commercial roofs are designed to last for years. You can expect it to hold up well through multiple routine storms and unfavorable conditions. If it’s time for you to replace your building’s roof, consider using these coatings instead. It may help you save big money in the long run. Contact Champion Services Roof Rescue today to learn how you can safeguard your roof from bad weather with commercial liquid roofing.